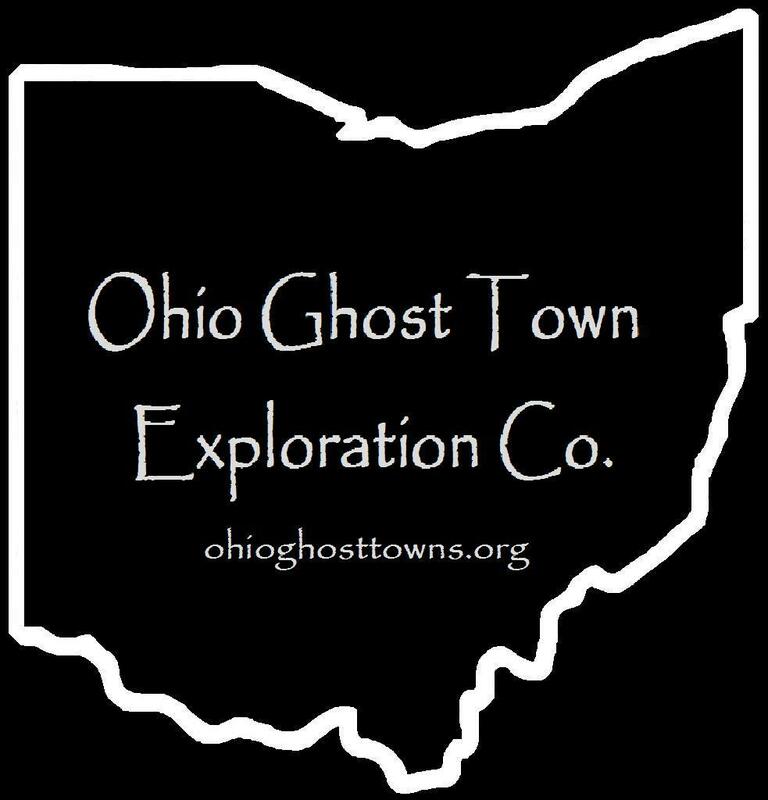 Shelby County – Ohio Ghost Town Exploration Co. Description: It had a train station on the Dayton & Michigan Railroad. Residences & businesses were in both Auglaize & Shelby County. It was named after Richard Botkin (1803 – 1858) who donated the land for the station & founded Botkins in Shelby County. Description: Dingmansburg was the first village in the township platted in 1816 with 18 lots on three streets by War Of 1812 veteran Daniel V. Dingman (1782 – 1861) who was the first sheriff of Shelby County. It was replatted as East Sidney in 1837 & annexed into Sidney in 1919. Description: The town was founded by Jonathan Hageman (1830 – 1916) & Elizabeth (Robinson) Hageman (1834 – 1908) who had three children. Jonathan built a steam powered saw mill with his brothers along Leatherwood Creek in 1854 & operated it for several decades. The Hagemans were buried with relatives in Plattsville Cemetery on Leatherwood Creek Rd. Description: This small farming & mill town was founded by members of the Hale family in the area. The portion of SR 47 which runs through the township was formerly the Hale Turnpike. Description: The town was founded by settlers from Northumberland County, PA. Most of them were German immigrants. Description: The town of Saint Patrick grew around its Catholic church congregation which was established in 1862 by residents mostly of Irish descent. It’s still a populated place & an unincorporated community, but the public buildings are gone & there’s just about a dozen residences left in the area. The original log church was constructed in 1863 on land owned by the Brenner family. It was replaced with a wood frame structure in 1871 & subsequently a large brick church in the 1910s which was added to the National Register Of Historic Places in 1979. The church was demolished in the 1990s. Saint Patrick also had a school across Hoying Rd from the church. It first appeared in the 1875 county atlas & was replaced by a brick parish school in 1906. Herman H. Barhorst (1862 – 1908) was the first postmaster. He was buried with relatives & other residents in the cemetery. Richard A. Thaman (1871 – 1948) was the last postmaster. He was buried with relatives in Graceland Cemetery about 12 miles southeast of town on the west side of S Main Ave (Co Hwy 25A) in Sidney. Thanks to Rufus Defibaugh for the lead on Saint Patrick! Description: The town proprietor was William F. Valentine (1865 – 1936) who was a farmer & bought the only tile mill in the township. William was buried with his wife Nelly (Duffy) Valentine (1872 – 1941) in Cedar Point Cemetery east of Sidney on SR 706. We ran into several inconsistencies while researching Rumley & will attempt to address all of them in this sketch to sort out some of the confusion. The deeper we dug, the more questions arose, but further research revealed that each of those questions only have a couple of possible answers. The first settler was Colonel Amos Evans, who probably achieved his rank in the War of 1812, & built a log cabin, general store, & tavern in the early 1830s. A few more families moved to the area & then Joel Weslin (a.k.a Jacob) Goings (Goins) (1799 – 1872) & his brother John (a.k.a. George) Wesley Goings (Goins) (1795 or 1796 – 1848) arrived around 1832 from Guernsey County. They purchased 400 acres of land in what would become Rumley & had lots of plans for it. Some have stated they were free black men from Baltimore, MD but genealogy records indicate they were from Virginia. Joel is also said to have been a member of the native Wappoo tribe in early historical records though & both may have been of mixed descent. Joel married Elizabeth (Cole) Goings (1808 – 1869) who was from an Irish family & they had 11 children. German immigrants made it to Rumley in 1834 & later more European settlers from colonial states, black, white, native American, & some freed or escaped slaves moved there. “Joel & Wesley” Goings built several businesses including a grocery store, hotel, and a brick plant. Joel also owned a horse powered saw mill with Elias Spray. Colonel Amos Evans platted the town in 1837 with 48 lots & a post office ran from 1839 – 1842. Joel & Elizabeth constructed the first brick house in 1841. Rumley was turning into a bustling community serving well as a stagecoach stop between Piqua & Lima. It was also platted along an old native trail which was used for the Underground Railroad. Rumley flourished through the mid 1800s with schools, churches, & several saloons, hitting a peak population of about 500. There was about 50 residents in town & 450 on the outskirts. The Goings 2nd generation did well in Rumley too. It’s been stated that 385 emancipated slaves from John Randolph’s (1773 – 1833) plantation in Virginia settled in Rumley, but the majority of them were actually turned away as the town couldn’t support so many new citizens at one time. Another big part of the problem was getting legal papers for all of the migrants to prove they weren’t runaway slaves. After a long journey from Virginia with a stop in Miami County for a few years (Hanktown), some did end up in Rumley. A few others scattered around Shelby & Mercer County, but most of them returned to Miami. The town was doing fine up until the Civil War. Racial tensions had driven away some of the residents & was the reason for the first decrease in population. In the 1870s & 1880s, improvements in farming & machinery led to a second exodus of citizens to other towns that had more jobs & newer equipment to work with. Rumley got passed up by the railroads too, the Chesapeake & Ohio being 5 miles east, making commutes in & out of town seem difficult in comparison. In the 1900s The Great Depression was the final straw for any hopes of a new boom to Rumley. Some residents stuck around & the town never lost its name, but also would never quite be the same again. These days, the total number of people who would say they live in Rumley is probably down to around 50. The last school the town had was built in the 1890s. Its been restored as a meeting hall & sits at the corner of Blanke Rd & Hardin – Wapokeneta Rd. Some residents also attended the Wenger School constructed in the late 1860s at 11385 Amsterdam Rd, a few miles northwest of town. Rumley Baptist Church, built in the 1880s is, south of the Rumley School on Hardin – Wapokeneta Rd & has a historical marker for the town. Despite the factual inaccuracies on the marker, at least something is there & we’ll leave it at that. Burials took place at 4 local cemeteries. Joel & Elizabeth Goings were buried with some of their family members in Collins Cemetery on the north side of SR 274. There’s an abandoned house or two around Rumley, but the main reason for classifying it as a semi – ghost town was the massive population decreases & number historical buildings still standing.